Beautiful semi-detached 6 bedroom rural cortijo for sale in Ser?n, Almer?a. This huge 6 bedroom 2 bathroom property is located just 2 km outside the rural village of Ser?n where traditional life continues in the agricultural surroundings of the Almanzora Valley. 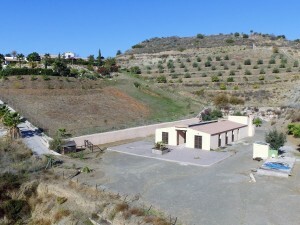 This semi-detached cortijo is situated on a completely fenced plot with an additional plot of 4800 m? in front, where you can find olive and almond trees. Although there is currently no pool there is plenty of space on the plot to have one installed. Along with the shaded backyard complete with a barbecue area, mature gardens irrigation system, a small patch of vegetables, several warehouses and a long drive capable of parking at least 4 cars, this plot has much to offer. The main door of the property opens into a large living room with huge central fireplace which currently houses a log burner. From the living room you have access directly into the back yard and the fully equipped large kitchen. From the living room a first corridor leads to the downstairs bathroom and 2 double bedrooms. A staircase leads to the 2nd floor where you have the utility room and master bath with a large corner bath and power shower. On the upper floor we also have 3 double bedrooms and a single bedroom, all with large windows that allow a lot of natural light. At the end of the hallway of the bedrooms we find a huge terrace facing south where you have the sun all day and can enjoy the fantastic views of the surrounding mountains. The property is only 5 minutes from the village where you have all your basic services, including banks, shops, bars, medical center, schools, pharmacies, etc. Ser?n also hosts an annual festival of cured ham every first weekend of July where people from all over the country come to enjoy the famous Ser?n Ham and other local produce. Ser?n is ideally located, the beaches of Mojacar are only 1 hour by car and the famous ski slopes of Sierra Nevada only 1 hour and 30 minutes. 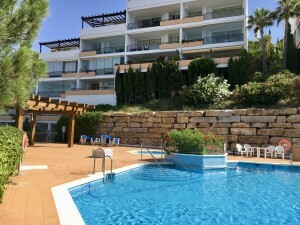 This is an ideal property for those looking to fully integrate into Spanish culture and lifestyle. At the current selling price this property is definitely worth a visit.